Preheat the oven to 200° F. Place all ingredients except the nori in a food processor and pulse several times until the mixture is a smooth paste with bits of pumpkin and sunflower seeds for texture. Line two large baking sheets with parchment paper. Place the sheets of nori on the parchment, rough side facing up. 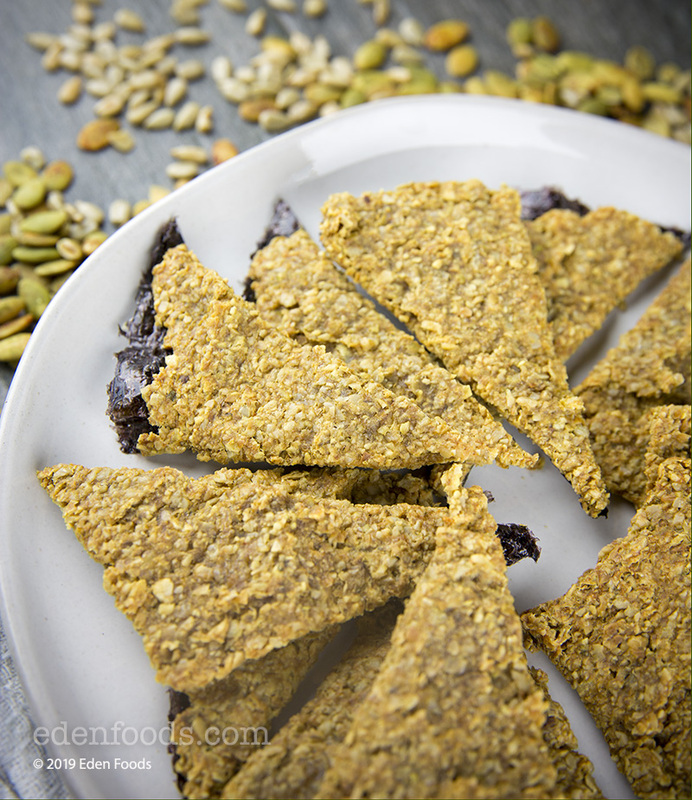 Spread the seed paste evenly over the three sheets of nori using a tablespoon or spatula. Bake for 1 hour. Remove and using scissosrs, cut the sheets into 2-inch wide strips or triangles. Turn the oven up to 225° F and bake again for 1 to 2 hours until dry, crisp and slightly brown. Makes about 3 dozen crackers. Allow to cool before eating or storing in a sealed container.